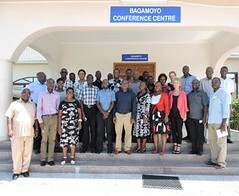 The SPAC supports the program primarily through the Program Planning & Management Committee (PPMC), but also reports to the International Livestock Research Institute (ILRI) director general. The CRP director communicates to the SPAC specific issues that the PPMC or the ILRI director general would like the SPAC to address. The SPAC meets at least once annually, scheduled so as to coincide with a regular PPMC meeting. The meetings comprise a combination of: a) joint meetings with the PPMC to receive updates on program plans, performance and strategies, b) closed meeting of the SPAC to develop guidance and recommendations, followed by c) joint meeting with the PPMC to provide feedback and support the PPMC to develop a response. Where feasible and useful, the SPAC interacts with individual CRP component leaders and value chain coordinators. Similarly some SPAC meetings may be held in CRP target value chain locations, when interaction with national value chain partners may be facilitated. The SPAC provides a report annually to the ILRI director general with its recommendations and guidance. The PPMC provides a response to that report, which when accepted by the ILRI director general is submitted to the ILRI Board of Trustees for information. Max Rothschild is a CF Curtiss Distinguished Professor in Agriculture and Life Science and holds the ME Ensminger Chair in International Animal Agriculture. Rothschild received his B.S. in animal science at the University of California, Davis in 1974 and his M.S. at the University of Wisconsin in animal science in 1975. In 1978 he obtained his Ph.D. in animal breeding from Cornell University. From 1978 to 1980 he was an assistant professor at the University of Maryland where taught animal breeding and did research into genetics of dairy cattle. In 1980 he joined the Department of Animal Science at the Iowa State University. 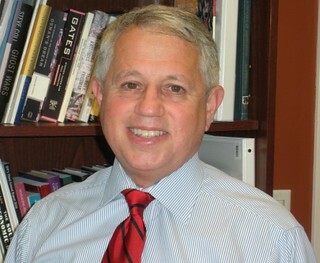 Since 1993 Rothschild has served as the USDA Pig Genome Mapping Coordinator. In 2007 he was named director of the Center for Integrated Animal Genomics. Rothschild has devoted his research and teaching career to the field of animal breeding and molecular genetics. Recent research has been directed towards identifying genes controlling traits of economic importance in the pig. He and his lab have discovered a large number of individual genes associated with traits of importance and many of these are used in selection in the commercial pig industry to improve pig performance. He is widely recognized as a world leader in the field of pig genetics. He is a member of many national and international societies. 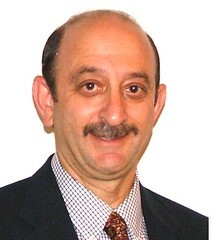 He has presented numerous invited papers in nearly 50 countries and has over 330 referred publications, 500 other publications and 12 patents. His awards include AAAS fellow, USDA Group Honor Award, ASAS award in Animal Breeding and Genetics and the ASAS International Service award, two R&D100 awards and was named Iowa Inventor of the year in 2002. Rothschild also has been active developing livestock projects in developing countries and has been associated with the Center for Sustainable Rural Livelihoods working with families to learn livestock production. From 2011-2012 Rothschild was a Jefferson Science fellow working at the US Agency for International Development. Since May 2012 Andy has been Interim CEO of the Global Alliance for Livestock Veterinary Medicines (GALVmed) an Edinburgh based charity which develops veterinary medicines for the benefit of poor livestock keepers in developing countries. He was previously Chief Scientific Adviser for the same organisation. Over the last six years he has run ARPEXAS Ltd., a consultancy company providing support to academia, the animal health industry and charitable organisations in new product development, and knowledge transfer, with special emphasis on vaccines and endocrine products. Between 2009 and 2011 he was also part-time Vice President, Animal Health at AspenBio Pharma Inc., Denver, Colorado. Until December 2005 he was Head of European Vaccine R&D with Pfizer Animal Health. Between 1993 and 1998 he was Professor of Animal Health and Production at the Royal Veterinary College, London and previously Regulatory Manager with Hoechst Animal Health. He is a member of the UK Veterinary Products Committee (VPC) and of the DEFRA Advisory Committee on Releases into the Environment (ACRE). He is a veterinarian with PhD and DSc degrees in animal science and currently holds a visiting Chair at the University of Nottingham. He has published some 155 scientific papers and two books on Vaccines for Veterinary Applications and Reproduction in Cattle respectively. Martin Webber is an expert in competitiveness strategy, value chain competitiveness, agribusiness and enterprise development. He is the principal author of the World Bank’s Guide to Value Chain Concepts and Applications – Building Competitiveness in Africa’s Agriculture, which has emerged as a key reference document and curriculum component worldwide. He was part of a team that developed and introduced competitiveness approaches to USAID, and has worked on competitiveness and investment themes throughout the world. 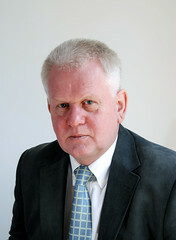 Webber has worked in more than 60 countries, providing analysis, planning, technical assistance, advisory services and implementation to improve business and value chain performance, improve national and sub-national capacities, and improve the competitiveness of agribusiness, service and manufacturing sectors. He has worked in many agricultural, agribusiness, animal industry and agro-industrial systems, as well as in dozens of manufacturing and service sectors. 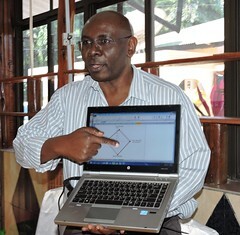 He has developed several diagnostic and strategic planning tools that are widely implemented in the industry, including the MEASURE methodology, used to understand business decision-making responses to changes in the enabling environment; value-chain-based approaches to investment; and IFC’s value-chain based approach to investment in agriculture. He has lectured and presented at numerous schools and forums. Webber is originally from Montreal, Canada, where he maintains strong ties. He lived for extended periods in West Africa (Senegal) and East Africa (Kenya). He is co-owner of J.E. Austin Associates (www.jeaustin.com), a Washington-based consulting firm. Through 600 assignments in more than 125 countries, J.E. Austin’s mission has always been to help populations to increase their wealth and well-being through productive, responsible business activity. The company believes that good strategy, market linkage, entrepreneurship and innovation, well-selected entry points and empowered implementation by stakeholders can jump-start a virtuous circle of investment, market success and competitiveness. This success will benefit millions of people. Rohana Subasinghe is a Senior Aquaculture Officer at the Fisheries and Aquaculture Department of FAO. He is specialized in aquaculture development and aquatic animal health management. Since his graduation in 1980 from the University of Colombo, Sri Lanka, he has worked in all parts of the world, with most experience in Asia. He joined FAO in 1994 and took responsibility in implementing many projects on aquaculture and aquatic animal health at national, regional and international levels worldwide. Among others, at FAO, he is also responsible for analysis of trends in aquaculture development globally. 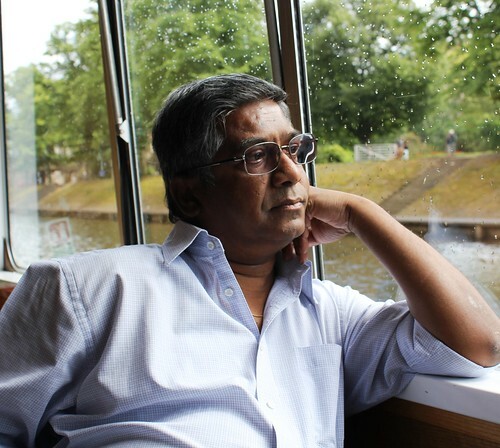 A former teacher of the University of Colombo and the Universiti Putra Malaysia, Rohana earned his PhD from Stirling University. He has been responsible for developing the internationally approved FAO aquaculture certification guidelines and is currently developing an evaluation framework for the assessment of conformity of certification schemes with those guidelines. He serves as the Technical Secretary to the Sub-Committee on Aquaculture of the Committee on Fisheries of the FAO, the only global inter-governmental forum on aquaculture. 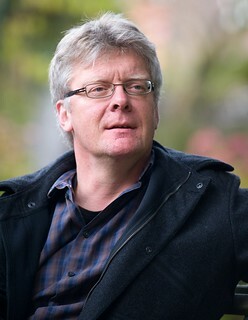 Simon Oosting is staff member of the Animal Production systems group of Wageningen University and his specialisation is Tropical Livestock farming systems. His research focusses on roles and functions of livestock in farming systems, on interactions between livestock farming systems and value chains, and on analysis and design of sustainable development options. He is currently involved in research projects in Africa and Asia. 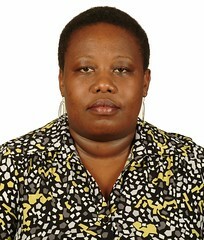 Maureen Miruka is the Team Leader of Pathways Program at CARE USA and is currently based in Dar Es Salaam Tanzania. Pathways is a six country program implemented in Tanzania, Malawi, Ghana, Mali, India and Bangladesh and seeks to increase poor women smallholder farmer productivity and empowerment in more equitable agriculture systems at scale. Maureen previously worked as a Senior Technical Advisor for Sustainable Agriculture at CARE and Principal Research Scientist at the Kenya Agricultural Research Institute and has extensive experience in agricultural research for development with specific focus on of socio-economic issues on agricultural growth and poverty reduction in the Sub-Saharan Africa region and internationally. She brings into the SPAC expertise in social analysis, gender mainstreaming and women’s empowerment in agricultural research and development in relation to wider poverty issues, integrated natural resource management and policy. She holds a PhD in Natural Resources from the University of Greenwich, London.